A New York Times report based on WikiLeaks documents detail how Iran provided aid to Iraqi militias. -Iraqi militants went to Iran to be trained as snipers and in the use of explosives, and Iran's Quds Force collaborated with Iraqi extremists to encourage the assassination of Iraqi officials. -The deadly battle between Iranian-backed militias and American forces continued after President Obama sought to open a diplomatic dialogue with Iran's leaders. 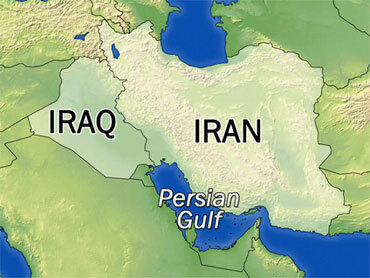 -Iran does not only play a military role in Iraq but a political one as well. A Nov. 27, 2005, report, issued before Iraq's December 2005 parliamentary elections, cautioned that Iranian-backed militia members in the Iraqi government were gaining power and giving Iran influence over Iraqi politics. -The provision of Iranian rockets, mortars and bombs to Shiite militants has also been a major concern. The November 2005 report recounted an effort by the Iraqi border police to stop the smuggling of weapons from Iran, which "recovered a quantity of bomb-making equipment, including explosively formed projectiles," which are capable of blasting a metal projectile through the door of an armored Humvee. Summary: This document, obtained and redacted by The New York Times, details the movement of explosives from Iran to Iraq. An operation to disrupt the smugglers took place with no reported casualties. AFTER AN INTERVIEW WITH THE 2IC DBE REGION 4 (---- ----) -- COMD DBE BORDER POLICE BASRA (---- ----) IT IS CLEAR THAT THE MOVEMENT OF EXPLOSIVES AND BOMB-MAKING EQUIPMENT WAS TAKING PLACE FROM IRAN INTO IRAQ ON THE NIGHT OF 9/10 NOV 05 IN NORTHERN BASRA PROVINCE. AN ANTI-SMUGGLING OPERATION MOUNTED BY THE DBE BORDER POLICE IN BASRA DISRUPTED THE MOVEMENT AND RECOVERED A QUANTITY OF BOMB-MAKING EQUIPMENT, INCLUDING EXPLOSIVELY FORMED PROJECTILES (EFPS). FURTHER DETAILS OF THE CIRCUMSTANCES SURROUNDING THIS EVENT APPEAR BELOW. BRIG ---- WAS ALERTED BY A SOURCE AT ----HRS ON - NOV 05 THAT INSURGENT SMUGGLING ACTIVITIES WERE LIKELY IN THE AREA OF THE IRANIAN BORDER (GRID -- -- -- --) JUST SOUTH OF THE BASRA/ MAYSAAN PROVINCE BOUNDARY THAT NIGHT. THE SOURCE REPORTED THAT THE SMUGGLERS WOULD MOVE EXPLOSIVES FROM IRAN INTO IRAQ BY BOAT AND THAT THERE WERE LIKELY TO BE 30 TO 35 MEN INVOLVED. ---- ---- HAD NO INFORMATION FROM HIS SOURCE ABOUT INDIVIDUALS INVOLVED OR LOCATIONS WITHIN IRAN THAT THE EXPLOSIVES MAY HAVE COME FROM. ---- ---- REPORTED THIS INFORMATION DIRECTLY TO ---- -- ---- - (---- -----) WHO AUTHORISED AN OPERATION TO DISRUPT THE SMUGGLERS. -- -- BORDER POLICE AND -- CIVILIANS FROM ---- ----'S OWN TRIBE, SA ID ----, AND ---- ---- HIMSELF WERE DEPLOYED TO THE AREA ARRIVING AT ----HRS ON - NOV 05. ---- ---- REPORTED THAT HE USED HIS OWN TRIBE IN ORDER TO INCREASE THE SIZE OF HIS FORCE AND THAT HIS TRIBE COULD ALSO DEPLOY RPGS AND PKCS. DURING THIS DEPLOYMENT THERE WAS A SMALL BLUE ON BLUE INCIDENT WITH THE FPS WHERE THE DBE OPENED FIRE BELIEVING THE VEHICLES AHEAD TO BE INSURGENTS, NO CASUALTIES WERE REPORTED AND THE INCIDENT WAS CLOSED, THE FPS REPORTED THIS INCIDENT TO THEIR HQ.